SABIC’s CLEAR LEXAN™ XHR Sheet Series has been named a Crystal Cabin Award® Finalist in the category of Materials & Components. The company’s lightweight engineered thermoplastic material offers the highest level of light transmission available in an OSU-compliant sheet material today which meets OSU 65/65 heat release and typical industry flame, smoke, toxicity (FST) requirements (FAR25.853, BSS7239, ABD0031). SABIC will be showcasing the product at the Aircraft Interiors Expo in Hamburg (14 – 16 April, 2015) Hall 7, booth # 7B70 and it will be displayed in the Crystal Cabin Award Gallery in Hall B6, Booth 6C10. As aircraft interior designers seek to achieve modern, light-filled cabin environments, they require a range of transparent materials that meet the industry’s vertical burn standards and are amenable to different processing technologies. 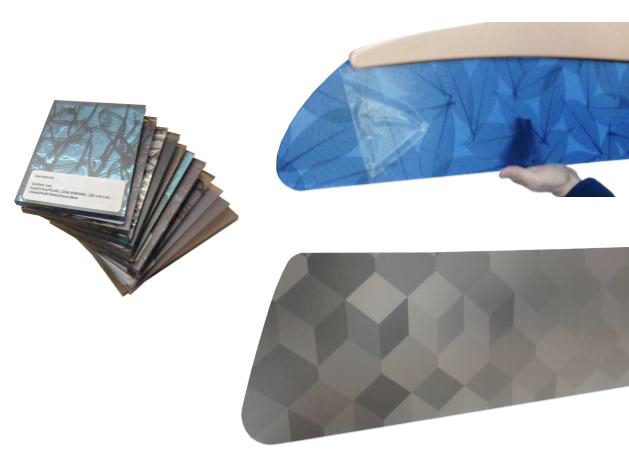 SABIC introduced its LEXAN XHR2000 sheet material for aircraft interiors last year, including two new variations that come in one- or two-sided hard coat options, called CLEAR LEXAN XHR2HC1 and LEXAN XHR2HC2 sheets. These additions to the product line provide design engineers with pre-coated materials that – without the need for secondary processing – meet the highest industry standards for flame resistance. “SABIC is honored to be a finalist for the Crystal Cabin Award with CLEAR LEXAN XHR sheet material that was specifically developed in response to the airline industry’s ongoing desire for a transparent material that would help to differentiate cabin interior designs. The industry’s response to the introduction of our clear LEXAN XHR2000 sheet was so positive, we created two additional coated variations to help our customers more rapidly advance their designs into applications without requiring secondary operations,” Kim Choate, Director of Mass Transportation for SABIC’s Innovative Plastics business, said. With 80% light transmission, the innovative CLEAR LEXAN XHR2000 sheet is both durable and thermoformable, while complying with strict airline standards for fire, smoke and toxicity. With introduction of coated CLEAR LEXAN XHR2HC1 and LEXAN XHR2HC2 sheets, SABIC offers grades that offer even more robust vertical burn performance, reaching the industry’s highest standards without the need for secondary processing to apply a coating, laminate or film. LEXAN XHR2HC1 sheet, coated on one side, is a candidate for components that need to be laminated or printed, such as window reveals, partitions, refrigeration equipment, luxury interiors, walls, security partitions, oversized windows, self-service refreshment stations, instrument displays, divider panels and mirrors. LEXAN XHR2HC2 sheet, coated on two sides, is a candidate for many of the same applications, offering scratch, chemical and graffiti resistance on both sides. SABIC’s CLEAR LEXAN™ XHR sheet available as uncoated or coated options, provides aircraft interior designers with new options in transparency. Photo: SABIC’s CLEAR LEXAN™ XHR sheet, available as uncoated or coated options, provides aircraft interior designers with new options in transparency: 80% light transmission, the highest level of light transmission available in an OSU-compliant sheet material today which meets OSU 65/65 heat release and typical industry flame, smoke, toxicity (FST) requirements (FAR25.853). Tuesday, 14 April, after the dinner, the winners of each category will be announced. The winners will be asked to receive the trophy on stage. Two representatives maximum should go on stage. From SABIC Kim Choate and Sandeep Dhawan will present SABIC at the ceremony. You are very welcome to speak some words if you like to express your feelings. Subsequently you will be guided to the stage’s side, where one photo will be taken. They also need to write down the names of the representatives, who are going to be photographed. After that you will also receive your certificate. And after the 7th winner announcement all winners are invited to join a group photo! 1. What is the innovation in your product/concept? Aircraft interior designers are often restricted by the clarity and compliance limitations of the transparent materials currently available to them. With 80% light transmission, CLEAR LEXAN XHR sheet series is a pioneering option for aircraft interiors with the highest level of light transmission available in an OSU-compliant sheet material today while complying with strict airline standards for OSU 65/65 heat release, flame, smoke, toxicity (FST) requirements (FAR25.853, BSS7239, ABD0031). As aircraft interior designers seek to achieve modern, light-filled cabin environments, they require a range of transparent materials that meet the industry’s vertical burn standards and are amenable to different processing technologies. Lightweight, durable, formable CLEAR LEXAN XHR sheet series includes one- or two-side hard coated options which provide design engineers with pre-coated materials offering even more robust vertical burn performance, reaching the industry’s highest standards without the need for secondary processing to apply a coating, laminate or film. 2. What is the benefit for the passenger? Next to the full compliance with the aircraft interior regulations, compared to glass-based transparent products, CLEAR LEXAN XHR sheet series 250 times impact resistant, preventing risk of breakage and potential safety issues when impact occurs. It supports passenger comfort level and experience through enabling transparent designs of the large components such as security partitions, oversized windows, trolleys, monitor covers and self-service refreshment stations, creating pleasant, light-filled cabin environment. PASSENGER COMFORT & DESIGN FREEDOM Offers 80% light transmission which supports light-filled cabin environment to enhance the passenger experience Facilitates the design of large transparent components such as security partitions, oversized windows, trolleys, monitor covers and self-service refreshment stations. Its formability expands the design freedom for a wide spectrum of applications where interior designers can enhance the passenger experience and differentiate airline branding by allowing printing, post-coating, texture, laminating, 3D thermoforming, color, and graphic processing.